Thanks to Katie for this review! 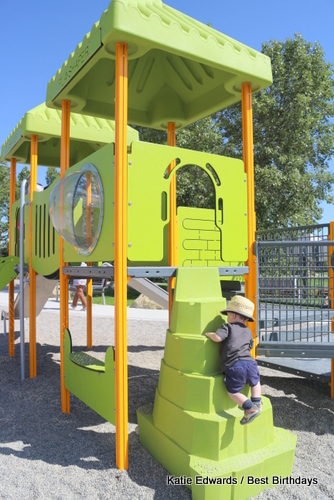 Luc’s reviews (1.5 years old): Luc loved the preschool climber. 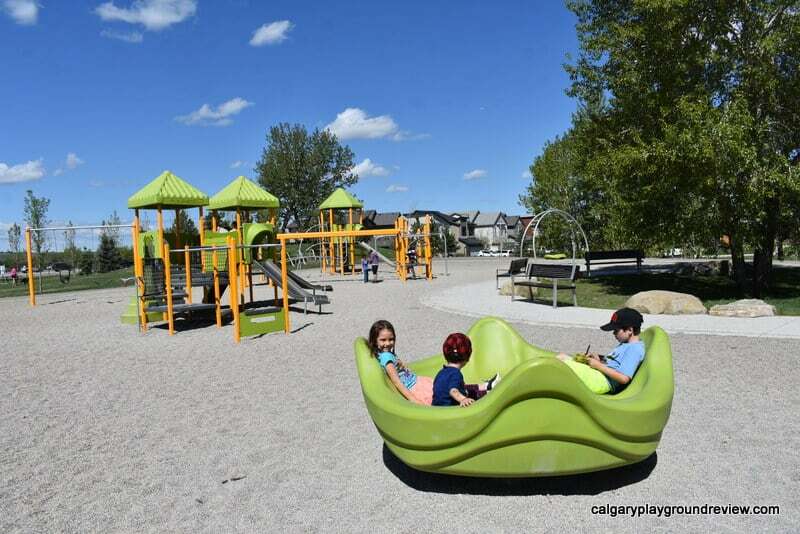 Features: Two climbers – one for preschool kids and one for older kids; a giant green spinner that up to four kids can sit in; a wooden bridge leading into the park. 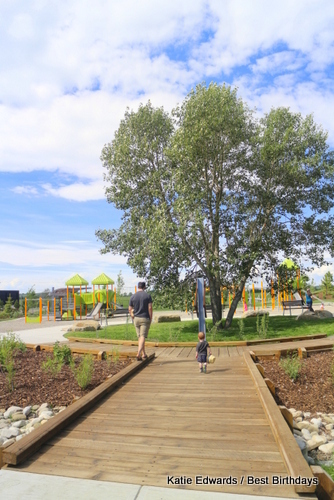 Surrounding park area: The playground has lots of big trees and small hills, and a little valley that my kids enjoy exploring. 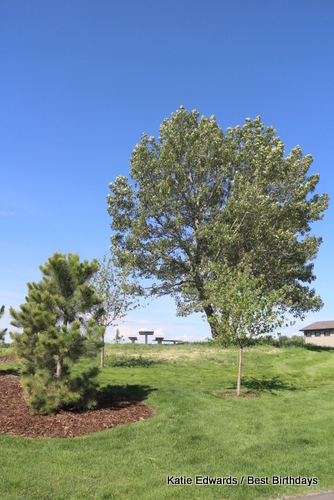 Shade: Shade structures over the picnic tables as well as from large trees. Seating: There are lots of benches, as well as several picnic tables (Including one at the top of a hill under a large tree). The picnic tables are spaced well away from each other, and several of the benches are shaded at any given time, thanks to the trees. Overall assessment: This playground is AWESOME. The giant green spinner was actually kind of hard to turn, so it never went fast. But the rest of the park is fantastic. I love the bridge and the big trees – there were two kids there at the same time as us who spent as much time on the bridge as they did on the playground. 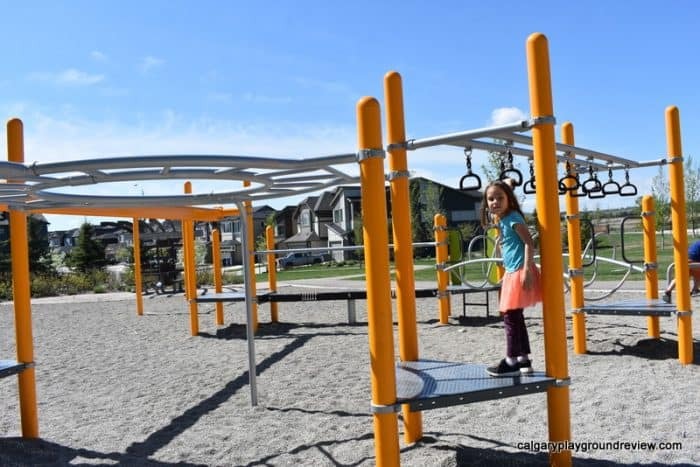 There is a lot of unique equipment here, including a balance beam that bounces, circular monkey bars, and a cool wavy climber. The preschool climber is really cute, and includes giant letters that make a ladder, a bubble window, and some giant climbing steps. The steps each have a big groove on the edge, which makes it easy for very small kids to grab them. My whole family really loved this playground. So glad you reviewed this park! 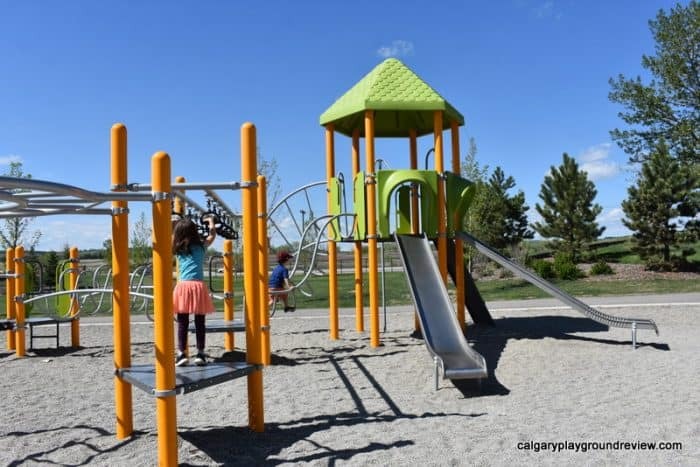 My kids, ages 3.5 and 1.5, love this park and we go often. We live in Walden. This is our favorite playground. There are 4 playgrounds as of now in Walden. My four years old loves watching construction trucks which can be seen from this park as most of the area is under construction. 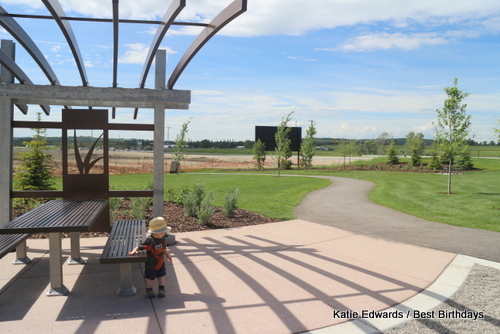 There’s a green space in Walden, perfect for biking or just walk . You can spot birds. There’s a storm water pond on east side of Walden. If you are birdwatcher or if your little one just wants to see some Duckies this is an awesome place. We are just looking forward to see our community developed so there would be more playgrounds for us. 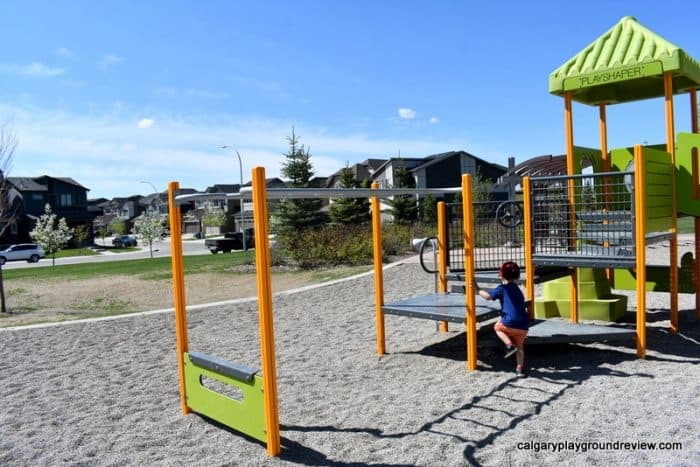 Can somebody help me out with the location of this playground? Thanks! Thanks for pointing that out. The pin should be in the right place now. 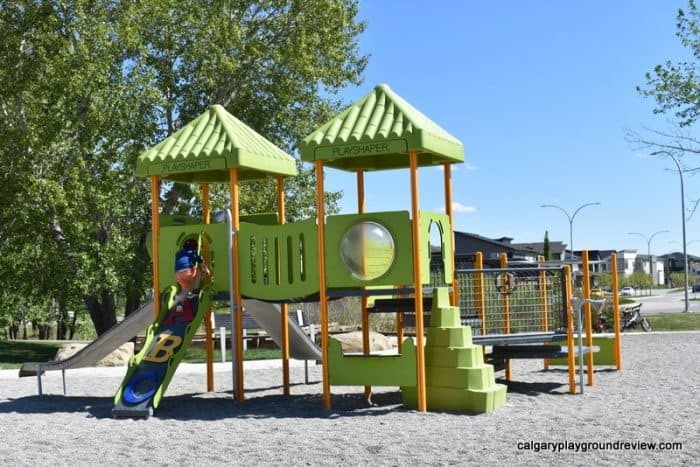 The playground is at the southern end of Walden Cres and Walden Dr at Walden Way.